Although e-cigarette liquids cannot be sold to anyone under 18 some of the colourful packaging used by companies appear to be aimed at a younger audience. Several online retailers have been found to sell products that sound as if they could just as easily be found on the sweet aisle of a supermarket. Some of these names which could appeal to children include Dinner Lady Strawberry Custard and Sparking Ice Orange Juice, reports the Sunday Times. Sandra Gidley, chair of the Royal Pharmaceutical Society’s English Pharmacy Board, said: ‘These products are the vaping equivalent of alcopops and clearly designed to hook teenagers into an addiction. 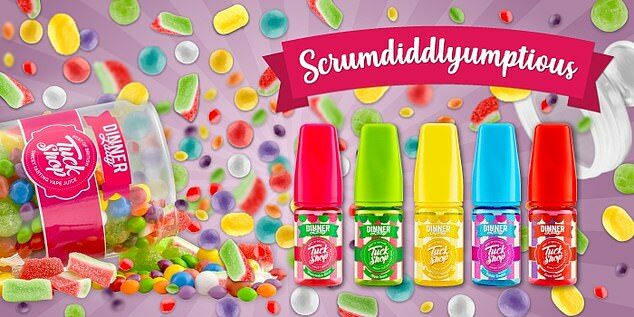 Website Ubervape advertises Tuck Shop products next to a picture of sweets spilling out of a jar while five brightly coloured bottles are presented under a banner reading ‘scrumdiddlyumptious’. 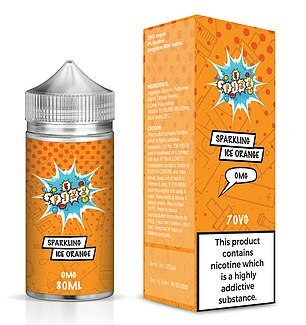 E-liquid products sold on the www.vipelectroniccigarette.co.uk website were also branded as the ‘vaping equivalent of alcopops’ by Mrs Gidley. 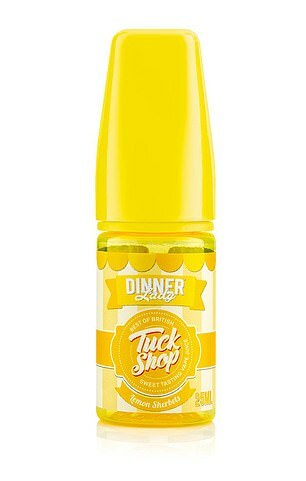 The owner of the company behind the website is British American Tobacco (BAT) who have recently acquired the site that sells E-Fizz and Dinner Lady products. The company said that it has removed e-liquids manufactured by third parties from the website pending a review, reports the Sunday Times. The Dinner Lady brand also told the Sunday Times that it ‘delivered the best product while ensuring the safety of children’. Pharmacy chair Mrs Gidley said the situation is a real ‘hornets nest’ and that while we believe vaping to be safe for now, the long term implications are not know. She said: ‘It’s a real hornets nest. The Vaping industry isn’t going to change its packaging or product names unless it is told to do so in legislation. Vaping products must be registered with the Medicines and Healthcare Regulatory Agency (MHRA). The e-cigarette liquid brands that were on the MHRA list last week included Jelly Babies, Snowy Candy Bears and Jam Doughnuts. A spokesperson for the UK Vaping Industry Association said: ‘There are already strict regulations in place in the UK on selling or marketing vaping products to under 18s. All of our members comply with the law. ‘Fortunately recent research from Action on Smoking and Health demonstrates that youth use of vaping products is very low, with just 2% of youths using vaping products at least weekly. 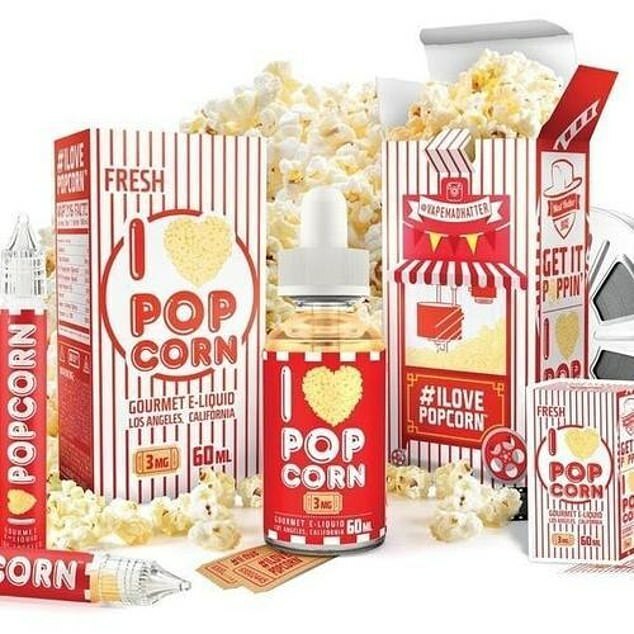 A spokesperson for Ubervape said: ‘Products such as Candy King and Dinner Lady’s are, in my opinion, intended for nostalgia purposes. Their flavours are reminiscent of younger times of enjoyment. ‘There is only really one variant that separates e-liquids and that is the flavour. One of the essential ingredients is vegetable glycerine VG which is naturally sweet which means sweet based flavours are essential. ‘With just the difference of a flavour to chose from, images illustrating the flavour and ingredients are essential. ‘I personally don’t think the intent behind a lot of these brands is to appeal to children. It’s to catch the eye of the consumer in an incredibly competitive market. A Department of Health and Social Care spokesperson said: ‘We are committed to protecting young people from the harmful effects of tobacco products, and have been clear that e-cigarettes are not harmless. MailOnline has also contacted www.vipelectroniccigarette.co.uk for comment.